Sanskrit: Ambashtha, Piluphala, Ekashthila, Dipani, Varatiktata, Tiktapushpa, Atisaranashani, Ambashtaki, Pracchina, Shreyasi. 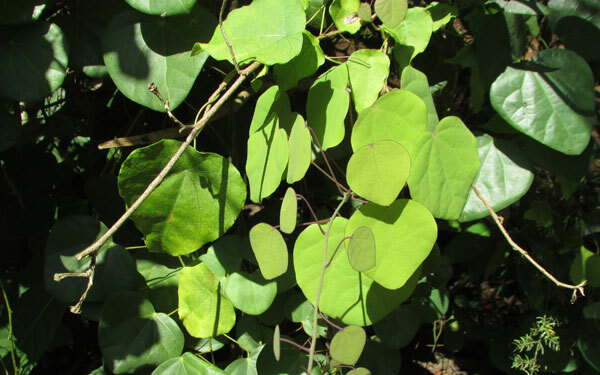 It is an annual climber shrub, tomentose, spreading over trees, fences, etc., commonly found in tropical sub-tropical, forest areas, plane lands, in Western Ghats area, etc., the leaves are dark green, hairy, ovate or heart-shaped, about 4 to 10 cm in diameter. Flowers are small, dioecious, light green in color, found in clusters in the leaf axis. The fruits are berries, many, small and round, born in clusters, green in color turns to red when ripe. Flowering and fruiting April to October. 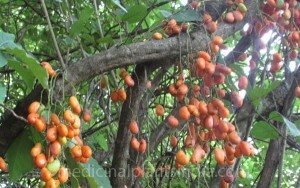 It is mainly used in folk medicine to treat rheumatic disorders, coughing, and cold, to increase breast milk, urinary disorders, to treat cobra bite, anti-malarial. It is an important herb in feminine diseases. It is known as midwife plant because of it is used in women ailments such as like uterine hemorrhages, miscarriage, urogenital disorders etc. , and also useful in intestinal worms, wounds, ulcers, indigestion, asthma, arthritis, and muscle cramps. To treat malaria, fever, and also used in the treatments of sexually transmitted diseases (VD). Astringent, anti-inflammatory, Antinociceptive and antiarthritic.